Decisions, decisions. Make it easy AND uniquely sweet and tasty this year when you share our most popular assortment of everyone's favorite confections! Imagine the smiles when these wicker baskets filled with World Famous Pralines, Milk Chocolate Loggerheads, crunchy Glazed Pecans, hand stretched Peanut Brittle, and fluffy nougat Log Roll come around. You'll be the talk of the town alright! 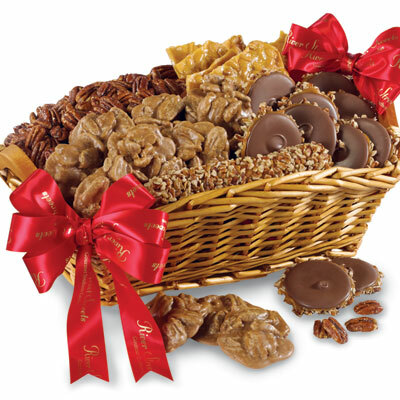 Choose from 9 sizes and make the Grab Basket a gift giving tradition!